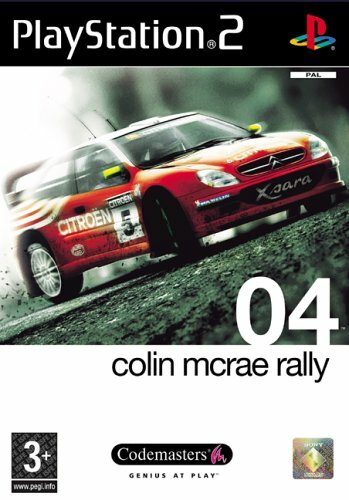 The third title in the rally series has you off road over a range of courses around the world as Colin McRae, in the Ford Focus rally car. You are given 3 seasons to win the world rally championship, racing the Ford Focus RS RWC. In each season there are 8 competitions, staged in Australia, the USA, England, Sweden, Japan, Greece and Finland. Each competition has 6 stages set around different landscapes, and a special head-to-head stage at the end. You are out to beat the clock, and the time set by the opposing teams, on each occasion. Beat the time, win the stage, and you are once step closer to taking the world title. Along the way you can alter and modify the Focus' setup, from the wheels used, gearboxes, brakes, suspension and so forth. You can also test drive the car before any event to make sure the setup is to your liking. Apart from the championship mode you can also play stage mode, allowing you to race in any of the cars unlocked during the championship mode, on all the courses you have completed. Compete against the clock or against a friend in 2 player mode.